Heartland Furniture in Asheville was founded by Randy Sain in 2005. Randy is passionate about offering furniture that is expertly handcrafted with pride and perfection in mind. With each piece being individually handcrafted in an Amish wood shop using sustainable pieces of the finest woods, an American art form is preserved and quality is being passed on to you. Randy enjoys working with customers to design custom furniture that will fit perfectly into your home. 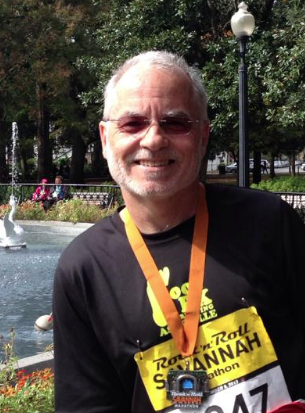 In his spare time, Randy is an avid runner and no stranger to marathons and endurance runs. He is also active in community development, traveling often to help with projects aimed toward improving the lives of others in our world. Come to the showroom to talk to Randy and see our stock and the customizable options that are available to you. We look forward to seeing you! Select beautifully handcrafted, solid wood home or office furniture made in the USA. Your solid wood Amish-Made furniture will be custom-crafted to your choice of style, wood, stain, finish, and hardware. From Rustic to Traditional, you’ll find the look you’ve been searching for at Heartland Fine Amish Furniture. We have dining room/kitchen, bedroom, living room, entertainment/media and home office furniture selections in Shaker, Mission, 18th Century Queen Anne, Traditional and other fresh new Transitional designs for today’s living that will last for generations. Beautiful and heirloom quality...what more could you want?